Want to know what happened during the July 2015 Cincinnati Real Estate Market and Northern Kentucky Real Estate Market sales period? You have come to the right place. 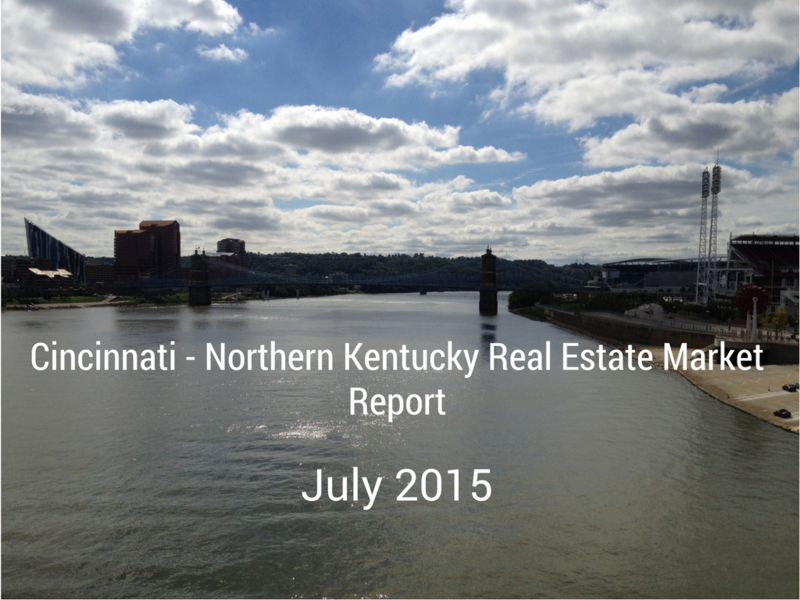 Read on to get the latest statistics and information in the July 2015 Cincinnati-Northern Kentucky Real Estate Report. While home sales were a bit lower number wise than in the spring, July continued to show overall strength in the Great Cincinnati area. In July there were 1159 homes that closed during the month for Hamilton County and 298 homes that closed for Clermont County. Homes that went pending in July were 925 for Hamilton and 271 for Clermont County. Pending status means they had an offer accepted and were awaiting closing pending inspections, appraisals, financing etc. The average listing price for homes in the Hamilton County area was $245,741.00 with an average selling price of $197,912.00. Hamilton County homes during the July time frame were on the market (Days on Market) for an average of 83 days. There are currently 3,725 homes available for sale in Hamilton County. The average listing price for homes in the Clermont County area was $221,518.00 with an average selling price of $184,818.00. Clermont County homes during the July time frame were on the market (Days on Market) for an average of 71 days. There are currently 962 homes available for sale in Clermont County. In July there were 229 homes that closed during the month for Boone County, 233 homes that closed for Kenton County and 132 for Campbell County. Homes that went pending in July were 198 for Boone, 225 for Kenton and 99 for Campbell County. The average listing price for homes in the Boone County area was $245,493.00 with an average selling price of $209,335.00. Boone County homes during the July time frame were on the market (Days on Market) for an average of 82 days. There are currently 718 homes available for sale in Boone County. The average listing price for homes in the Kenton County area was $203,992.00 with an average selling price of $164,911.00. Kenton County homes during the July time frame were on the market (Days on Market) for an average of 118 days. There are currently 878 homes available for sale in Kenton County. The average listing price for homes in the Campbell County area was $213,497.00 with an average selling price of $148,395.00. Campbell County homes during the July time frame were on the market (Days on Market) for an average of 116 days. There are currently 489 homes available for sale in Campbell County. About the author: The above information regarding the “July 2015 Cincinnati – Northern Kentucky Real Estate Report” was compiled by Paul Sian of HER Realtors.